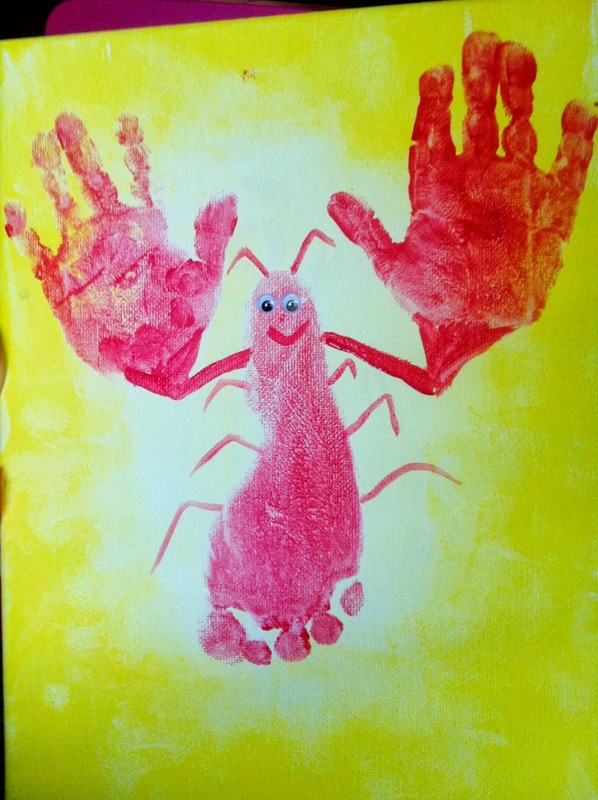 Here is another foot/handprint craft we did with Anishka. It is a happy lobster on canvas!!! Now go a head and make one with your child!! !